Psychology and the law have long maintained a collegial association with one another as adjacent disciplines. In the criminal justice system, for example, psychologists and psychiatrists serve regularly as expert witnesses, providing insight into the motivations and mental status of accused and convicted persons. But what about the reverse of this relation? What contribution has "the law" made to the work of analyst and patient in the consulting room? And what insights may be drawn from putting psychology itself on trial? 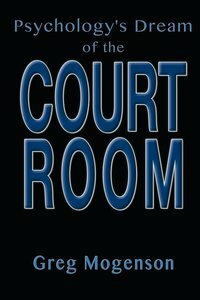 In this ground-breaking book, the use of legal metaphors and the courtroom analogy by Freud, Jung, and psychology more generally are examined in relation to the practice psychotherapy and analysis. In this way, psychoanalysis and analytical psychology are shown in fresh perspective to be disciplines of truth in the spirit of a trial or court proceeding.